Score this highly-rated Glow in the Dark Face & Body Paint for only $10.28 on Amazon, regularly $44.99. Beautiful UV reactive liquid face and body paint. You'll marvel at the bright neon colors when they come into contact with UltraViolet or Blacklight. 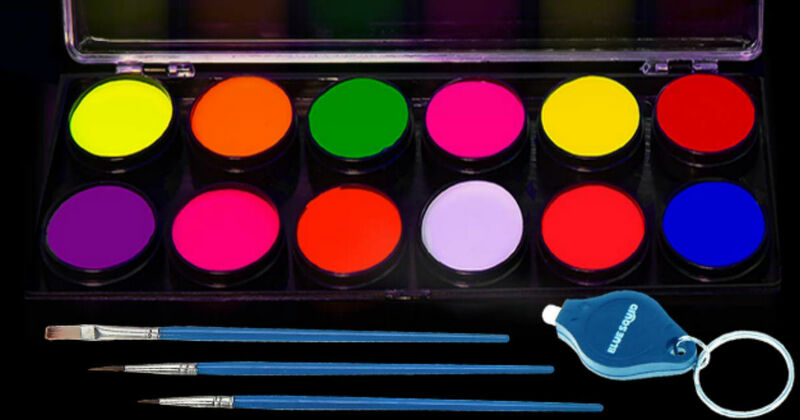 This Professional Face and Body Paint Palette contains enough paint to be used for 100+ faces supplied in a reusable cosmetic carry case with also 30 reusable Stencils and 3 Brushes.